When Amber Faulkner strives to honour her dying adoptive mother’s last request to be reunited with her birth mother—the universally reviled politician Joan Simmons—she has no idea of the anguish and pain that lie ahead. What dark secrets lie behind the reason her birth mother abandoned her when she kept and raised her twin sister? Why does her mother tell her that she didn’t want her then and still doesn’t want her now? How far will her mother go to keep Amber’s true identity secret to prevent a scandal that would destroy her political career and everything she’s worked so hard to build? Free on Kindle. 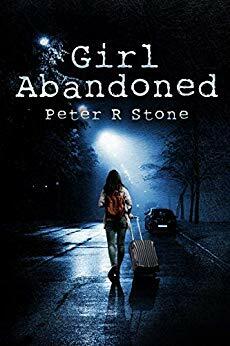 Find more mystery, thriller and suspense titles like "Girl, Abandoned" by Peter R Stone on bestmysterynovels.net. Each day we feature a selection of free and discounted Kindle books in the Mystery, Thriller & Suspense genres. Disclaimer: The price of the book above was accurate upon the publication date of April 16th, 2019. However, Kindle book prices are subject to change at anytime without notice. Remember to look closely at the book price before purchasing it. If you'd like to return a Kindle book that you purchased, you can do so by following these Kindle book return instructions.